The injury bug is biting the New York Yankees hard right now. Third baseman, Miguel Andujar, is going to miss some time with injury. The Yankees need someone to step up who isn’t a liability at the plate or in the field, and one of their prospects who they just called up fits that description perfectly. 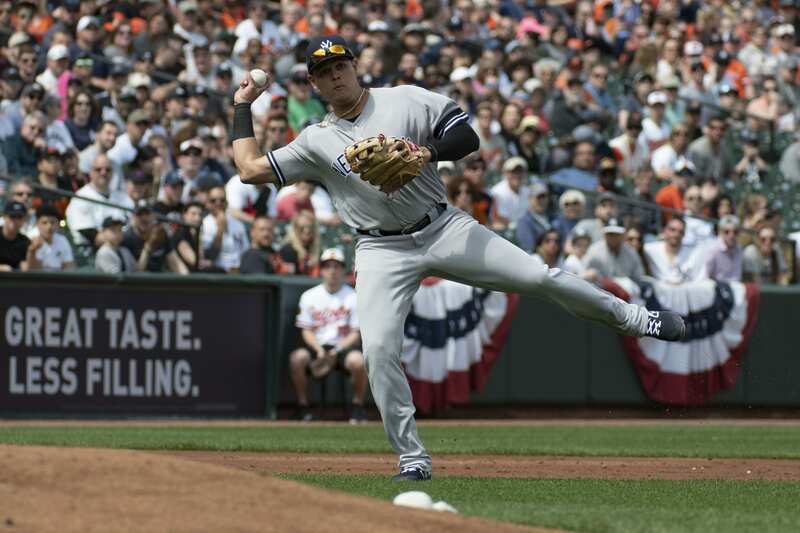 Giovanny Urshela fits the role the Yankees need right now much better than any of the other option. Veteran infielder DJ LeMahieu is a quality alternative because he is a phenomenal defender, but at the plate he is a quality hitter that just lacks the pop Andujar brought to the table, considering he has only hit 49 career home runs in nine MLB seasons. Then, there’s Tyler Wade. Wade is still waiting on his big breakout. He has hit a career .162 with a .214 OBP and 7 RBIs in three stints at the majors. Wade provides defensive versatility and speed but is a liability at the plate. Thairo Estrada, the Yankees’ top infield prospect, is a good player. Urshela seems to be at a higher developmental stage, at this point, than Estrada. Giovany Urshela looks poised for a breakout year. In Spring Training Urshela hit extremely well. He hit for a line of .321 with an OBP of .345 and a .679 slugging percentage. He had a great spring where it was evident he made key adjustments to his swing. In the minors, Urshela has always provided pop with a career home run total of 70, and a slugging percentage of .314. Pop and some excitement are what the Yankees need right now. Urshela can provide that and will now get his chance to showcase himself in the majors.